We're seeing a few questions, in Blogger Help Forum: Get Help with an Issue, about new Blogger / Google accounts - and choice of profile. Do I have a Limited account? This account owner just setup a new Blogger / Google account - and wants to avoid the confusion of Google+ - but sees his only alternate choice involving creation of a "Limited" account. A Blogger account and profile is only "limited", in that it does not waste your time and resources serving Google+ to you. Google+ is an exciting product - if you want it. Google+ is an exciting product - offering a combination of community building, feeds, and multimedia sharing, in one package. You can spend hours, interacting with people, worldwide. If that's what you want. Blogger is fine, for many people. If you don't want Google+, a Blogger account, with a Blogger profile, will suit you, just fine. Many people will be quite happy with a Blogger profile. Google wants people excited by Google+ - but Blogger is exciting too. 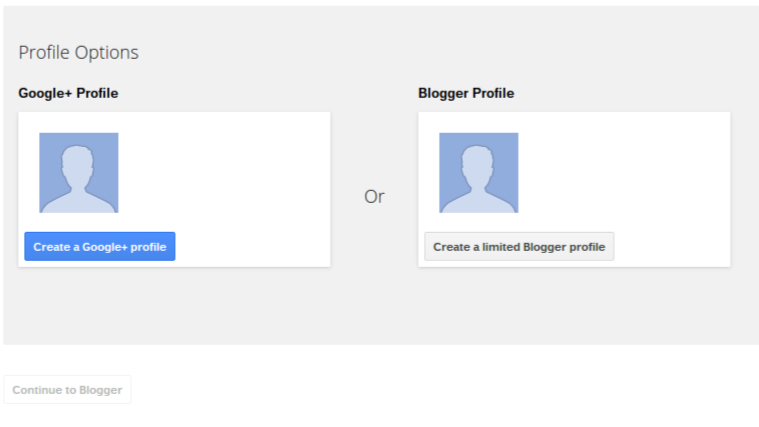 Google wants to emphasise the potential of Google+ - so they describe a Blogger Profile as "Limited". The limits may be only in your mind. Google+ has advantages, to be sure - but it's not the end of all. Blogger accounts, and Blogger profiles, still offer exciting possibilities. A Blogger blog lets you reach - and interact with - people all over the world. You can choose either profile - just choose, carefully. Google "My account" lets you setup a new #Blogger / Google account - and gives you a choice of a Google+ profile, or a "Limited" Blogger profile. This confuses some new Blogger blog owners, who don't want Google+ - and fear that they will have to settle for a Limited account. 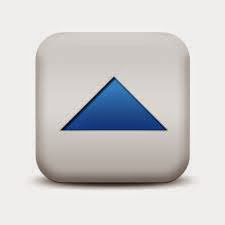 In reality, a Blogger account with a Blogger profile will be exciting - and useful - for many new Blogger blog owners. I love my Blogger account and find it suits me well. I also have a Google+, but I find it confusing/difficult to use - but I have it. I guess what I hate the most is that you nave to use your real name - not the blog name, in my case Marias Nail Art as your profile name. My name is very unusual, I'm the only one in this country with that name, and I don't see why why everyone should be able to see that nail polish is my hobby, if I don't wish to share it. That way a page on Facebook is much better - you have your personal profile with your name - and can have a page for your blog with your blog name as identity. I remember a long while back (when our photos became affected) you kind of hinted that we might read the writing on the wall, and I feared that connecting our blogs to Google+ would be mandatory in the future. But if I understand this post correctly it will not be a necessity? Thanks for that feedback - I find it easier to navigate the Blogger Profiles than the Google + profiles. I too have frequent reservations about some Followers. That said, you might want to rethink suspicion based on somebody's profile picture or name. Blogger / Google has a worldwide audience. When you were in grade school, did you have a "pen pal"? I did - but outside of exchanging half a dozen "post cards" (do you know what "post cards" were? ), my "pen pal" convos were nothing. I have real life real time chats, with blog owners and other Internet people, in Bangladesh, India, and Japan (to name 3 as examples) - and in one convo with one Internet contact, I discuss easily more than I discussed in one years worth of "post cards" with my "pen pals". The Internet is truly international - and people with strange names are part of the experience. Yes, people from China, Nigeria, and Russia - real people - do read our blogs. That said, if you truly want to block this person, I'll get to that in another day or so. Personally, I hate it when people use their kidz in their profiles. One day, those kidz (older, and wiser) will be asking "How do I get my childhood photo out of Internet searches??". The privacy issue, involved in Internet life, concerns me too. I have feelings for at least three sides of that fence. (How many fences have 3 sides?). Google+ solves the issue, by permitting you to designate WHO can see YOU. If you don't want the public seeing YOU, Circle all of your friends - then set your profile to be invisible to anybody not in the right Circles. You do have a Google+ Page, right? That should let you keep your private identity private. Of course, this means that you have to spend a lot of time maintaining your Circles. In my case, not so much because I don't have a lot of friends - or Followers. You, and Donna, represent the first time I have gotten the privilege of posting two serious comment convos in one morning. I have been re thinking that blog post, long ago. With Blogger rewriting Followers, I think they are committing to keeping it separate from Google+ - and keeping Blogger separate (maybe, equal too). I think Blogger has just as much power as Google+, in general - and I'm going to do my best to encourage Google to keep Blogger as an ongoing communications tool, for worldwide communication and interaction. I see that you are in Denmark. Before Blogger, I never chatted with people in Europe. Blogger Followers, and Google+ Followers, give me an enormous opportunity. I have been re thinking that blog post, from long ago. Yes, that Google+ circle thing... I don't mind the public to see me, just not my Google+ page (but I don't have one, I gave up trying, also because I see other nail polish bloggers who have one all have it connected to their name, not a blog profile. But when I click on your link, it looks like it IS possible to have two identities on Google+ - a personal and a blog - even if the blog is personal, not a business - or am I wrong? BUT as long as Google keeps Blogger separated - I'm happy, and I am so happy that you will encourage them to! That being said, I also am hooked - maybe even a bit more that I really like to admit. It is fascinating to meet new people from all over the globe, and some become really good friends.